Deciduous to evergreen (winter cold dependent), 1 to 1V2 ft. (30 to 45 cm). Zones 5 to 8. Apogamous. description: The rhizome forms an erect crown. Spare rosettes of blunt-tipped, pinnate-pinnatifid fronds, with a silky opalescent pink glow, grow shyly. 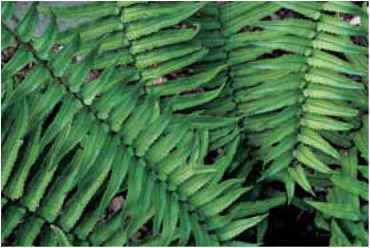 The short, grooved stipes are usually less than one-fourth of the frond length. There are 15 to 20 pairs of pinnae with the lower pair flaring forward and downwards. Spores are produced reluctantly on medial sori. 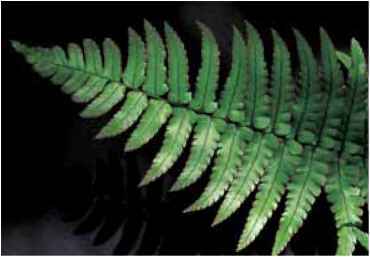 range and habitat: A fern of lowland forests, this species is found in Japan, China, and Taiwan. 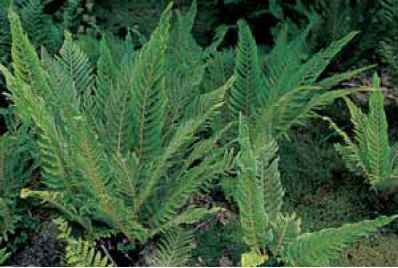 culture and comments: Dryopteris decipiens is a lovely and very choice low-growing selection for the woodland foreground where it will tolerate drought, but prefers enriched, moist acid compost. The unfurling fronds are a soft satin rose with a unique silvery patina, giving the species a subdued elegance that persists throughout the season. 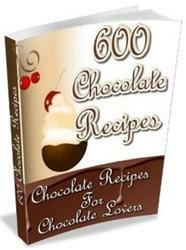 it grows slowly in the garden, and even more slowly from spores, making it unprofitable for mass marketers. 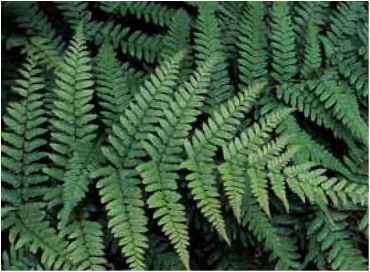 Look for it instead in the catalogs of specialized nurseries devoted to providing gardens and gardeners with temperate, ornamental ferns. Dryopteris cystolepidota at the Rhododendron Species Botanical Garden. A Dryopteris decipiens frond with its characteristic soft silvery patina. Dryopteris dickinsii in the Nittritz garden.